The characters in The Coming of Arabelle have very definite opinions about the beautiful ex-mermaid who graces/disrupts their lives. I’m offering a $10 Starbucks giveaway. Enter here. 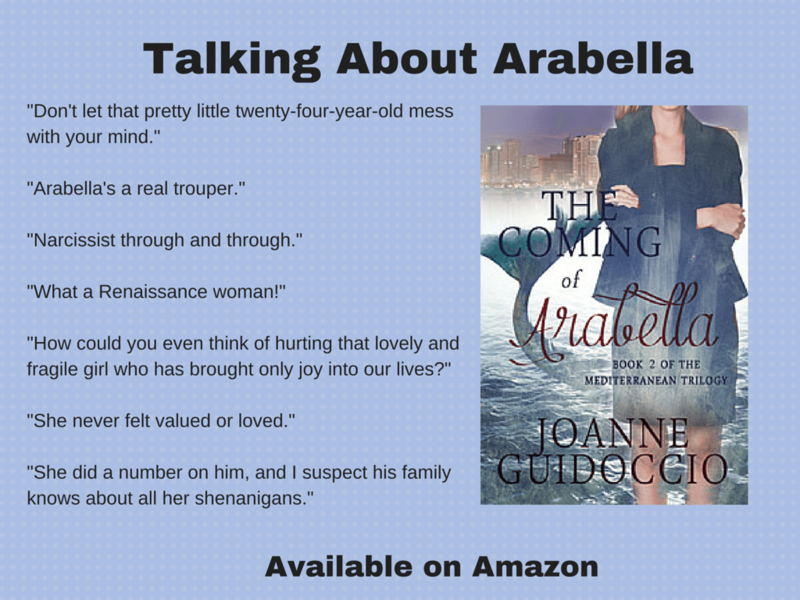 This entry was posted in Canva, Promotion, The Coming of Arabella and tagged Joanne Guidoccio, Starbucks giveaway. Bookmark the permalink.